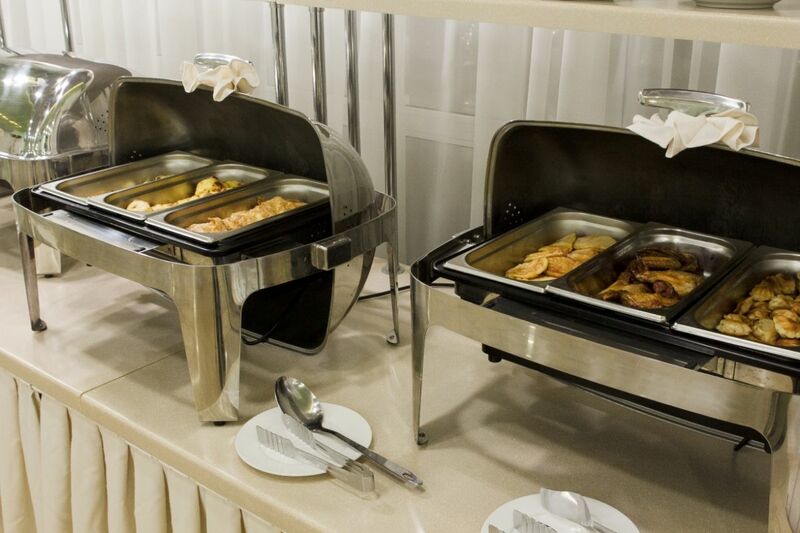 Breakfast buffet in the banquet hall on the first floor from 07.30 until 11.00 on weekdays, and 08.00 to 11.00 on weekends. Cost - 380 ruble. (can be included in the room price). 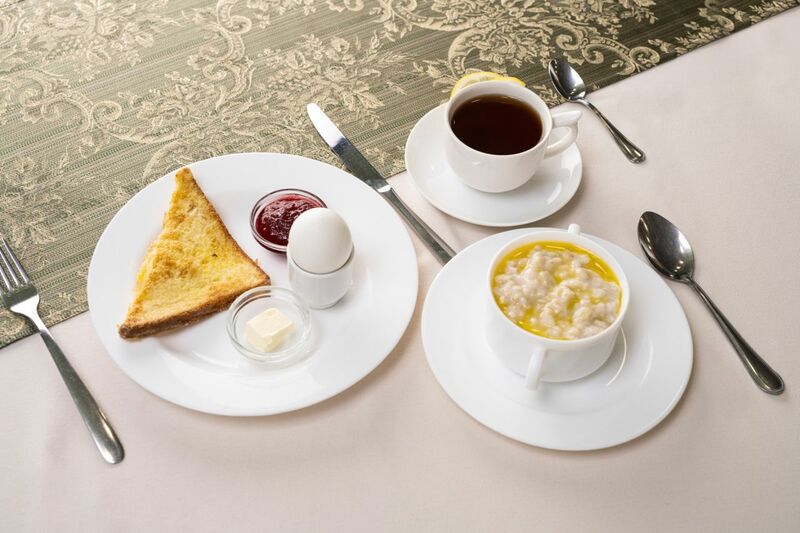 Submitted by: milk porridge, soup, fish and meat main dishes, side dishes, sausages, pancakes/griddle cakes, eggs, fruit, salads, sliced cheese and sausage, cereal, sandwiches, milk, cream, yogurt/kefir, biscuits, confectionery (cake/cakes), natural and soluble coffee, tea, fresh juice. 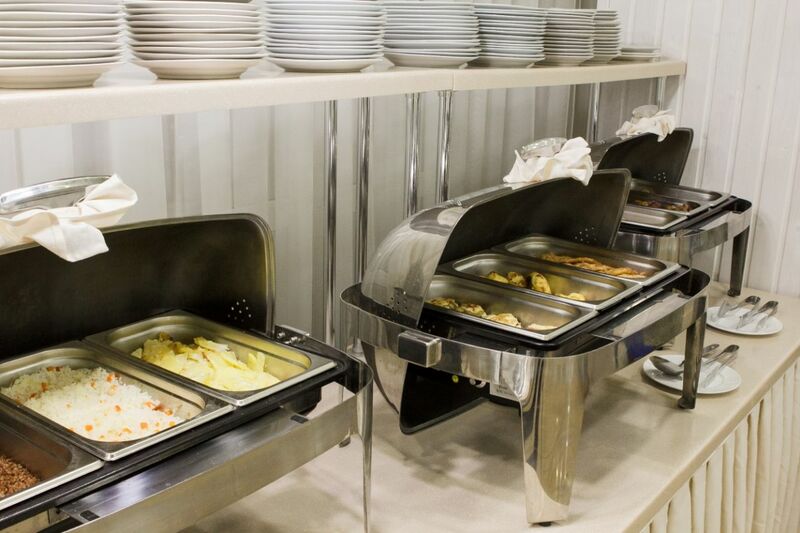 A comprehensive continental Breakfast in the café on the 8th floor from 07.00 to 11.00 daily. The cost is 220 rubles (can be included in the room price). 3. Easy: scrambled eggs or a salad, sausages, bread, tea. Daily from 07.00 to 23.00 it offers opened a cozy cafe on the 8th floor of the Hotel, offering traditional Russian dishes to choose from. For delivery in the room upon request – additional fee of 10% of the order value. 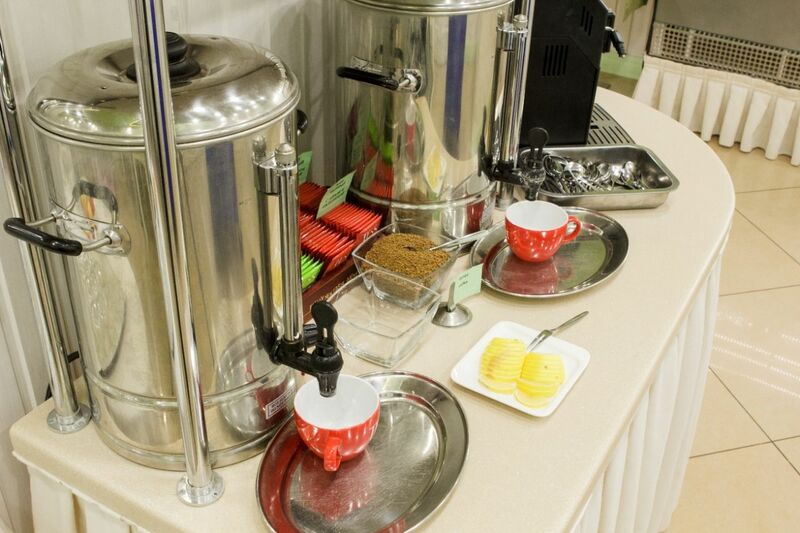 In the central hall features a lobby bar, where drinks, snacks, tea, coffee, juices and desserts. 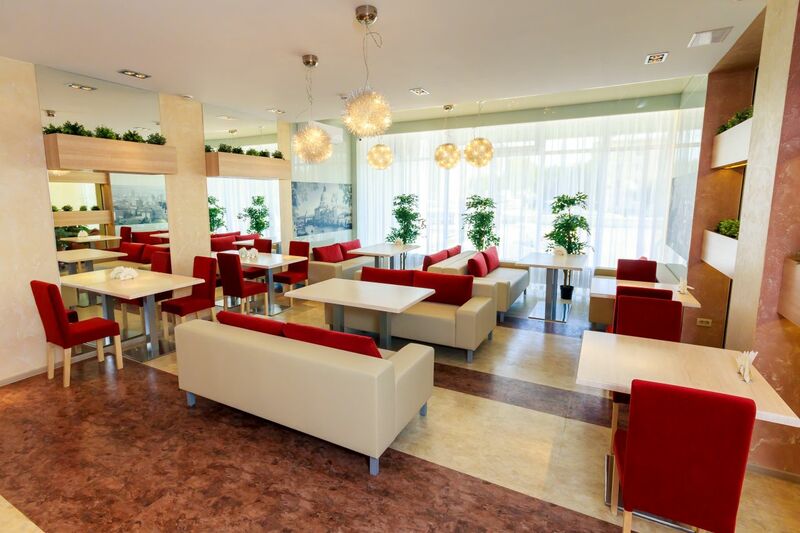 Also from 19.00 to 7.00 in the lobby bar meals (salads, entree, side dishes, hot meat dishes). Guest of our Hotel meals included in the price without allocating a separate line. 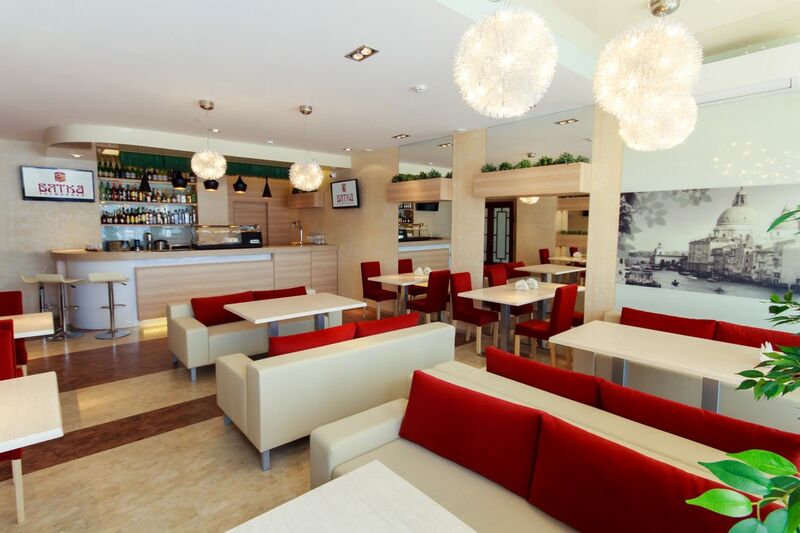 WE INVITE YOU TO ORGANIZE RECEPTIONS AND BANQUETS IN THE LOBBY BAR OF THE HOTEL VYATKA! It can accommodate up to 25 people. Features: the attentive approach to Your requirements and individual menu, you can bring your own alcohol. Cost - from 900 rubles per person. 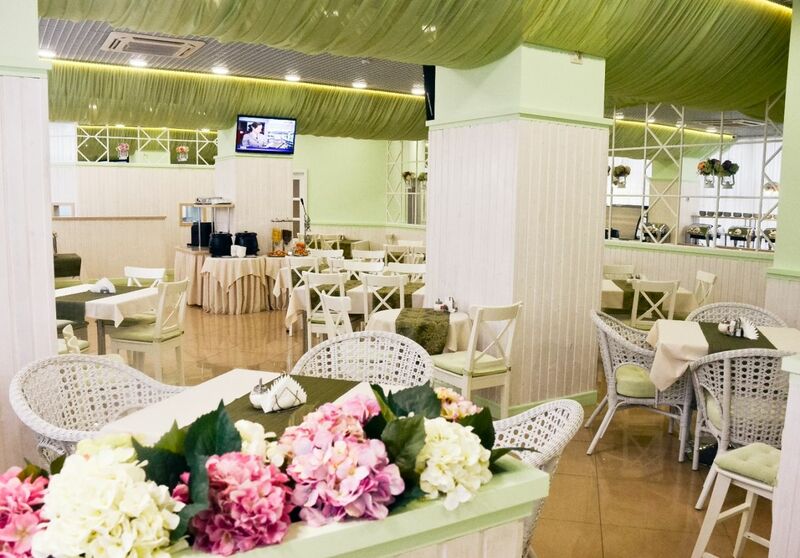 Requests and suggestions: kafe@vyatkahotel.ru, 54-63-83, 44-06-35 (Oksana Vladimirovna).